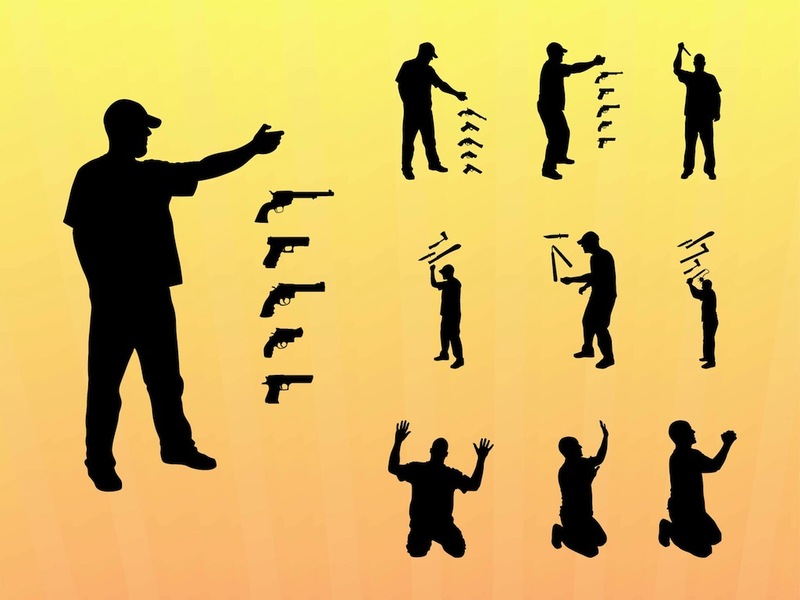 Silhouette vector graphics of people holding weapons and various guns and knifes. Victim and killer positions in the violence image collection. Man with a baseball hat shown holding many different weapons. Free vector graphics for all killing, murder, violence, attacking and self-defense projects. Tags: Firearms, Guns, Knifes, Man, People, Victim, Violence, Weapons.